As an important component of Phosphate Project Development we can develop a phosphate testing program from rock to fertilizers. 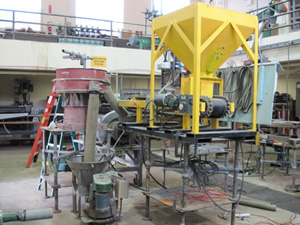 A testing program can include: characterization studies; bench-scale and pilot plant beneficiation studies; continuous phosphoric acid pilot plant testing; and batch granular fertilizer production and testing. The following table summarizes some of the material testing steps required for Scoping Studies, Pre-Feasibility Studies, and Bankable Feasibility Studies. Our lab is used for flexible small-scale beneficiation testing. Beneficiation is the process where ore is reduced in size and impurities separated to achieved the required Minor Element Ratio or MER in the concentrate (rock) and P2O5 grade. [MER is defined as (% Fe2O3 + Al2O3 + % MgO / % P2O5)]. Low MER is important for the rock to be processed to phosphoric acid and fertilizers. Since all phosphate deposits have unique mineralogy, the beneficiation process is specific to each deposit. Separation of certain minerals can be efficiently achieved by taking advantage of the physical, electrical and magnetic properties. The data obtained from batch scale tests, can be used to scale up to pilot plant testing and flowsheet design. We develop flow sheets from bench-scale laboratory data and use this information to design and perform continuous beneficiation pilot plant tests. The facility we use has extensive inventories of pilot plant equipment of differing capacities which enables it to simulate most process flow sheets. Pilot plant testing is used to develop engineering design criteria and process operating parameters, and is used to define process efficiency typically for determining economic process feasibility. 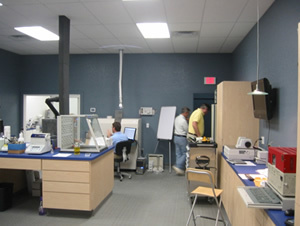 Furthermore, the pilot plant is often used to provide bulk samples for product evaluation in the marketplace. 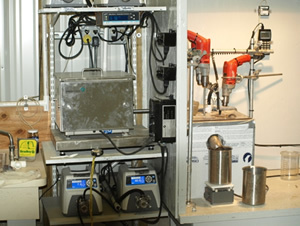 We subcontract Pilot Plant testing which is carried out under our supervision. The purpose of the KEMWorks Phosphoric Acid Pilot Plant is to determine the behavior of phosphate rock under conditions typical of an industrial phosphoric acid plant. Because the chemical composition and mineralogy of phosphate rocks varies widely from deposit to deposit (and usually within a deposit) so will the process conditions and the results vary for different phosphate rock. The plant can be operated to simulate the three major process routes: dihydrate (DH), hemihydrate (HH) and Hemidihydrate (HDH). MAP, DAP, SSP, TSP and animal feeds (MCP and DCP) grade and physical characteristics. Several companies extracted uranium as yellow cake from phosphoric acid until the price dropped below the cost of production in the early 1990s. Now uranium prices have rebounded and nuclear energy is considered by many one of the best alternatives to meet climate change targets and reduce dependence on foreign oil. In conjunction with K-Technologies, KEMWorks offers the conventional solvent extraction (SX) process using DEPA-TOPO that became the standard in the 1980s. We have also developed two Advanced Technologies that offer significant reductions in capital and operating costs, and eliminates the disadvantages of the kerosene carrier used in the SX process. 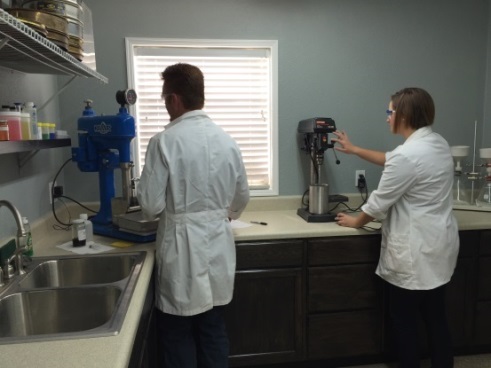 K-Technologies operates a pilot plant near Lakeland where we can test your phosphoric acid and provide an estimate of capital and operating costs for any of these three technologies.